Unlike part 1, this part actually takes place in Las Vegas! Imagine that?! After arrival in Sin City and a not-so-quick trip to the hotel, we got situated at the Monte Carlo and headed to a bar called The Pub for pre-entertainment beers and food. We were in time for happy hour so most of the group focused on 2-for-1 domestics, but I was interested in the local brews. Unfortunately The Pub was in the process of replacing and adding a lot of their tap lines, and it so happened that the beer towers they had down were largely the local brews from Tenaya Creek Brewpub and the Joseph James Brewing Company. Well crap, the local beers are what I wanted! Fortunately they had a few on tap, so I went with a Tenaya Creek Hefeweizen. 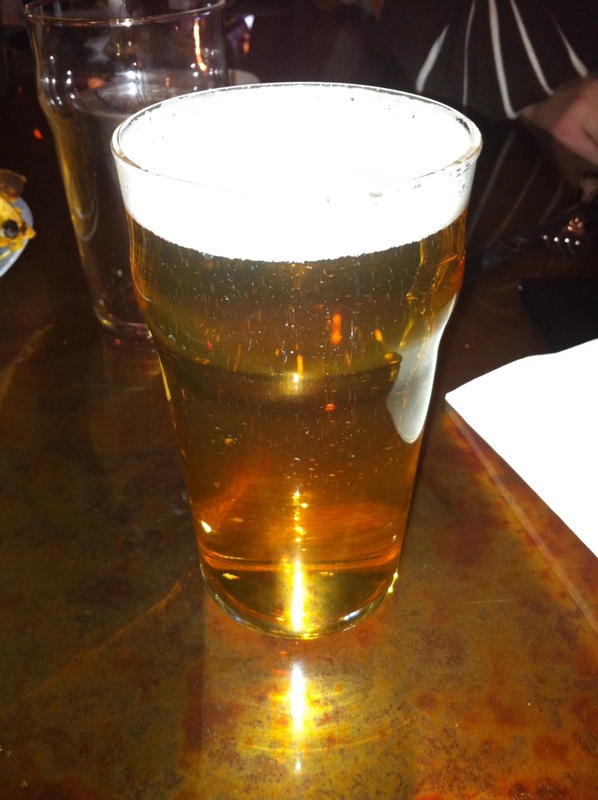 It had a typical hefe appearance, light and hazy with a creamy white head. This one was an easy drinker, but that's about all it had going for it. Just a faint lemon aroma and not a lot of flavor at all. A disappointing start, and nowhere near as tasty as the Squatters Hefeweizen I had tried earlier in the day. Second on the list was The Pub House Pilsner. This one came out (pictured to the left) a clear gold color on tap in a pint glass. Pretty decent head for a bar pour! There was a faint hoppy smell but not much else going on. 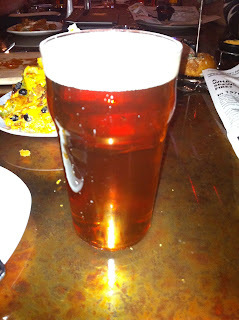 The taste was hoppy and the beer had a real crisp mouthfeel to it. A mediocre pilsner, in my opinion. Lastly, before heading out I tried a Sin City Amber, produced by a local chain of brewpubs. This one came out a transparent amber color with a small head. Nothing special to look at, really. The aroma is malty as it should be, but weak, not much to it there either. The flavors were a little better, with a solid amber malt base and a respectable hop balance to it. This one was my favorite of the three beers I tried at The Pub, but overall I was not impressed. Unfortunately that concludes my beer adventures on the trip to Las Vegas... I was able to get a few new brews under the belt, bringing me up to 12 so far for 2011. (I've actually tried 4 new ones between this trip and writing the blog... but who's counting? Other than me, of course...) Hopefully if I'm ever back at The Pub they will have their beer lines straightened out. This trip unfortunately left some to be desired, and there were several more local beers I'd have loved to try. 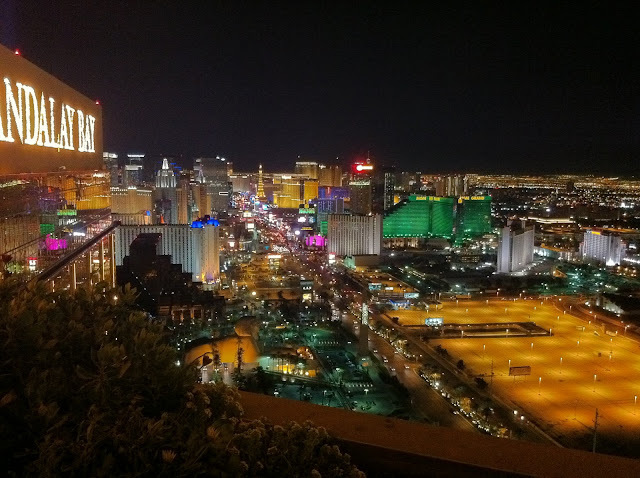 Until next time... cheers, and enjoy this picture of the strip from The Foundation Room where we watched LSU destroy Texas A&M... it's the only other pictures I can post on the blog!